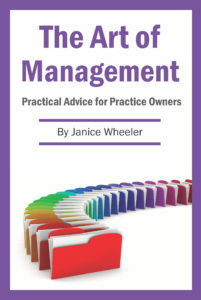 Find out how to improve your practice. Discovering the strengths and weaknesses of your practice can open up the door to increased growth, quality of service and reduced stress. Simply read the questions on the next page, fill in your answers and click “SUBMIT”. Our senior Practice Analyst will meet with you for 3 hours to evaluate the results of the Practice Health Checkup. All aspects of your productivity and profitability will be analyzed, and we will discuss how you can better organize and expand your practice, increase your net income and give you the lifestyle you want. Click here to take the practice checkup now!